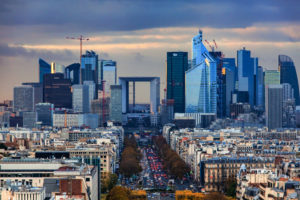 The French investment manager is seeking around €500m for Idinvest Secondary Fund IV, Secondaries Investor understands. Idinvest Partners is believed to be seeking 25 percent more capital for its next secondaries fund compared with its 2016-vintage predecessor. The Paris-headquartered investment manager will seek around €500 million for Idinvest Secondary Fund IV, Secondaries Investor understands. It is targeting a first close late in the first half of next year. It is not clear if the fund has officially launched. Idinvest Secondary Fund III closed in June last year above its €400 million target on €442 million after 18 months of fundraising, according to PEI data. In November last year managing partner and chief executive Christophe Bavière told Secondaries Investor that GP-led restructurings were the “core” of its secondaries business, accounting for 80 percent of the deals made by Fund III up to that point. “For GPs today, you’re either in the category of the hottest with a good track record and you fundraise in five seconds; but 90 percent of people are not in the top decile, and they need to restructure their [distributed-to-paid-ins], they need to restructure and change their story,” he said. In February Idinvest and LGT Capital Partners backed a GP-led process on German private equity firm Halder‘s 2008-vintage fund, as Secondaries Investor reported. The firms led a consortium of buyers that acquired stakes in Halder-GIMV Germany II and committed fresh capital for new investments. Eurazeo acquired a majority stake in Idinvest Partners in February, owning approximately 70 percent of the company alongside the management team. Idinvest has €8 billion in assets under management across buyout, funds of funds, secondaries, mezzanine and venture capital funds. Idinvest did not wish to comment.